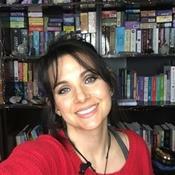 Find out about true love, Soulmate, twinfame and karmic flame, how each have a different purpose in your life, and get the answers and facts. Is it worth holding on to or happier to walk away? Don't wait Call now! I agree that he is toxic and needs to fall and feel the hurt he has caused others. This person you said is temporary is correct I think he is already fading away. I am in shock and I feel sick. That call cost me nearly $170 (AUD) and I don't even have any more of an idea what to think, expect or any guidance whatsoever around what will happen than before I called. Not one single thing was revealed, the entire conversation was completely abstract and every question that I asked, you told me that you can't answer, why call a psychic then?! A person doesn't pay $170 to be told to just "surrender" a situation so that it can come together in its own time, which may be years away. And there's absolutely no guidance you can provide except to say just let things happen as they will and live your life, go through your lessons etc?! I feel sick. Thank you, Mary, for helping me sort through these things in my life. You are just the best. Blessings. I loved my reading today.! It’s so refreshing to call a reader that’s honest, accurate and not selling you fairytales. If you want the truth you need to call her today!!? with which I see, hear and feel spiritual messages and images. I have extensive experience working with others to integrate spiritual values and truths that can change your life. I am also a certified Reiki Master Teacher. connect with your Soulmate on a deeper astral level as well as connecting with Angels, Spirit Guides and any passed away loved ones. I also specialize in Tarot cards, Astrology, Soulmate readings and life coaching. Please read about me here The choices that we presently make have an effect on the future, and we all have free will. My readings can help you to make the best choices. and increase your potential for true happiness. Are you searching for true love? Insecure about your loved one? Depressed and confused about life? are loved beyond your ability to feel it. into the power of God, Angels and guides can change your life. In working with spirit, I will help you create peace and abundance. I do not sugar coat anything, I am not a slot machine psychic. I will tell you what I see and the way it is. Please note: If you are looking for an in depth truth reading it may take more than 2 minutes to complete. Your energy sets the tone for your reading, so please try to take a few moments to settle your mind and emotions before your call with the intention of being open. This the best way to get an accurate reading. Also have pen and paper ready to take notes. Many things come more into focus as you move forward in time. Please DO NOT use feedback area to describe your entire reading (your reading is personal). SoulmateSpiritualist has been a user of Keen since 2001. Getting Love & Relationships advice from SoulmateSpiritualist through www.keen.com is safe, secure and confidential.